Cali-born brand St. Frank brings luxury goods from around the world to the walls, beds and coffee tables of Hollywood's A-List. 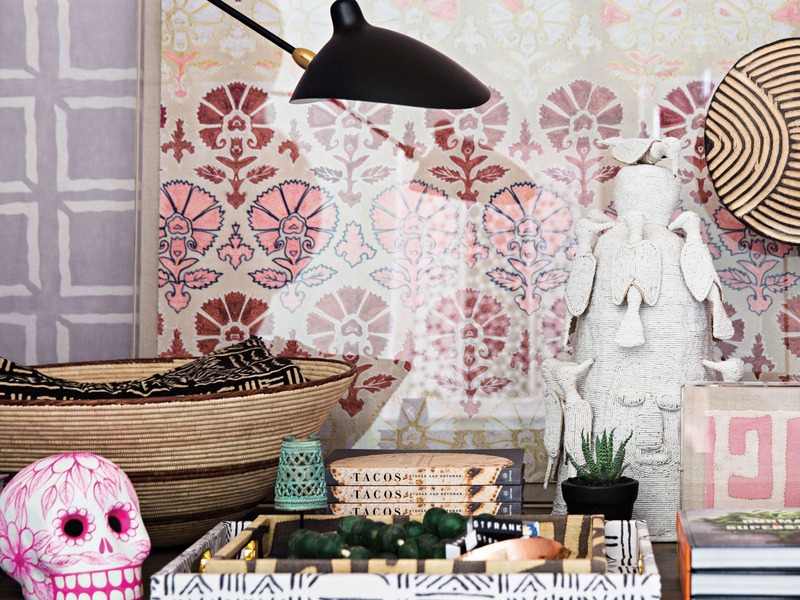 This eclectically styled St. Frank vignette features the brand’s pink Day of the Dead skull ($225), emerald glass beads ($75) and other chic accent pieces. A source for rich, atmospheric interior design souvenirs culled straight from far-flung cultures, sans the spirit-destroying jet lag? Sign us up! 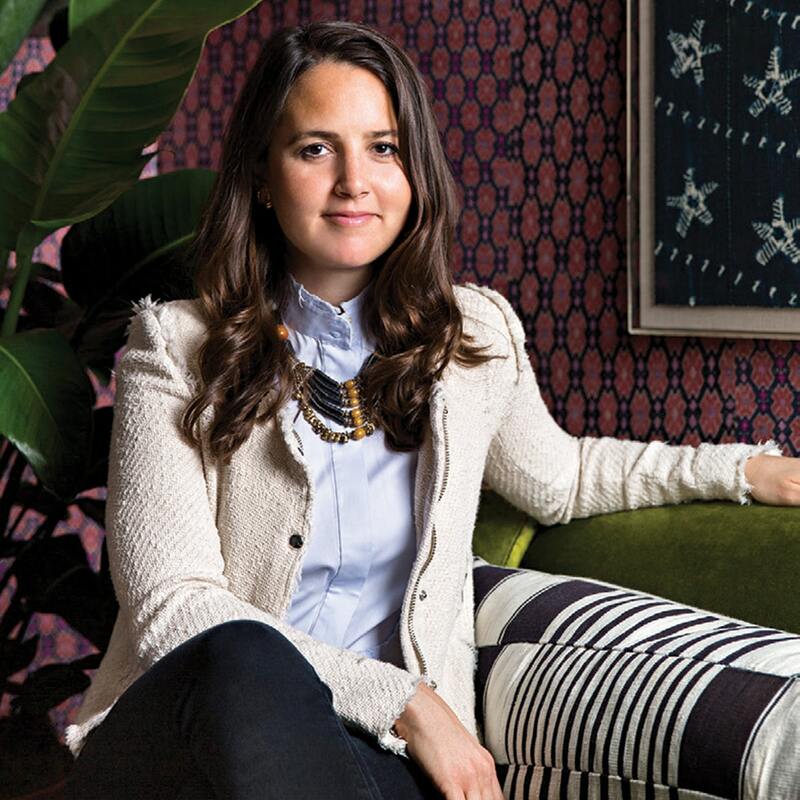 The likes of Robert Downey Jr., Jessica Alba, Rashida Jones, Lea Michele and Gina Rodriguez are already tuned into the NorCal-bred brand St. Frank, the brainchild of travel fiend Christina Bryant, who has skipped around the globe since 2012 to find the coolest consciously produced, sustainably sourced home goods. “Like our other clients, they are looking for a unique, luxury, quality piece for their home catered to their aesthetic,” says Bryant, adding that one-of-a-kind statement pieces have been most popular with the Hollywood crowd. As of this fall, neither celebs nor Angelenos need go anywhere, not even the internet, to find St. Frank’s eclectic bohemian array of textiles, art, wall hangings and other objects made by hand in such places as Guatemala, Indonesia, Mauritania, Cameroon and Panama. After a platform pop-up in Culver City, the fast-growing company has premiered a permanent shop in the Pacific Palisades’ new Palisades Village, a community-focused hub for all things chic and of-the-moment—see A.L.C., Carbon38, Anine Bing, Cuyana, Cynthia Rowley and Jennifer Meyer at the latest Caruso development. St. Frank’s atelier is lined with their Cross Miao wallpaper. Each shop—they’re also in San Francisco, NYC and East Hampton—is reflective of its environment in order to make the experience exciting and new. True to its SoCal surrounds, this new outlet has been dubbed “the Hacienda.” Inspired by a Mexican adobe-style home, it showcases art, soft goods, unique decorative accessories, wallpaper and fabric by the yard, as well as the newest St. Frank collections: tabletop, bedding, Mignonne Gavigan jewelry and Gary Linden x St. Frank surfboards. Christina Bryant, founder of St. Frank.